This Moody 41, with its classic lines, performance engineering high-end fitout will meet all of your cruising needs. Professionally maintained since new, this one owner this twin wheeled sloop is all glamour and ready to sail away. Twin swept spreader aluminium mast and boom, 9/10 tapered mast top rig with lazy jacks and boom bag. Genoa furler, spinnaker pole stored on an adjustable track. 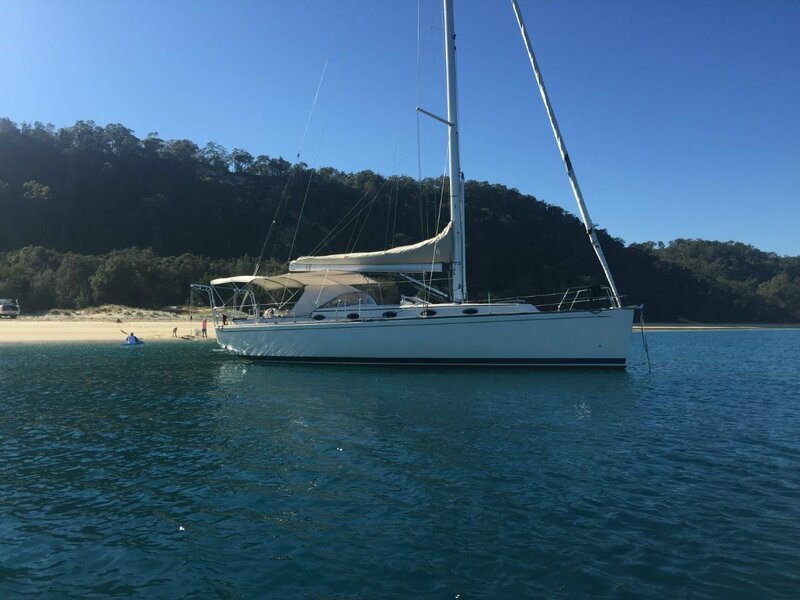 Single line reefing system, adjustable backstay, self tacking jib track. For more information or to arrange an inspection by appointment phone our office on 0249505706. (All details supplied by the vendor are not guaranteed by RA Mackay Yacht Brokerage).